It's hard to imagine anything more appealing than a sparkling, white smile. Yet our teeth rarely stay as white as we'd like them to without a little help. Fortunately, that help is available at Mackey Family Dentistry. 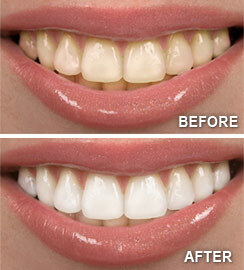 At our office we provide the take home Opalescence Tooth Whitening System. We offer professionally made trays that are made just for your mouth. We will then give you the Opalescence Gel to take home. Having a professional tray made will work faster and protect sensitive gums and tooth-root surfaces better when using gel whitening systems. Having an oral exam before you begin any whitening process is an important first step to make sure your tooth discoloration is not the result of a dental condition in need of treatment.